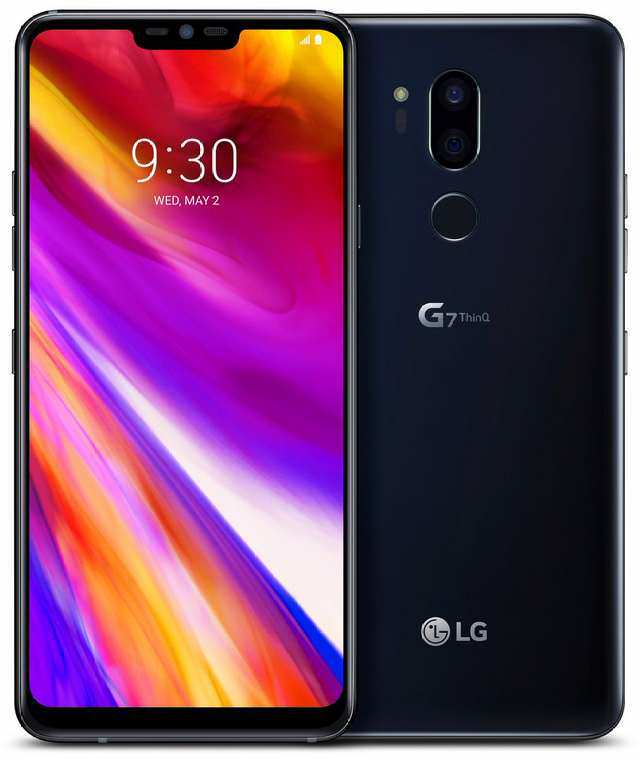 LG Electronics (LG) has introduced its latest premium smartphone, the LG G7 ThinQ, focusing on bringing useful and convenient AI features to the fundamental consumer smartphone experience. Powered by the latest Qualcomm Snapdragon™ 845 Mobile Platform, the LG G7 ThinQ offers 4GB/6GB of RAM and 64GB/128GB of internal storage to run even the most demanding tasks and apps with ease. Equipped with a stunning 6.1-inch bright display has is nearly half an inch larger than its predecessor but not a hair wider, the LG G7 ThinQ is sized perfectly to be used with one hand. LG has also added new features that make photography on the LG G7 ThinQ even more enjoyable than ever. Live Photo mode records one second before and after the shutter is pressed for snippets of unexpected moments or expressions that would normally be missed. Stickers uses face recognition to generate fun 2D and 3D overlays such as sunglasses and headbands that can be viewed directly on the display. New to the G series, Portrait mode generates professional looking shots with out-of-focus backgrounds. This bokeh effect can be generated using either the standard or SuperWide Angle lens, giving shutterbugs even more creative options. LG G7 ThinQ will be one of the first devices to get upcoming Google Lens features. Google Lens is a new way to search using the latest in AI and computer vision. Available inside the Google Assistant and Google Photos, it can deliver more information on objects such as landmarks, plants, animals, books as well as identify text. Visit websites, add a business card to contacts, add events to the calendar or look up an item on a restaurant menu―all right from Google Lens. More details on Google Lens will be revealed at Google I/O. Located just below the volume is a button that launches the phone’s AI functions. A single tap of this button will launch the Google Assistant while two quick taps will launch Google Lens, a first on any phone. Users can also hold down the button to start talking to the Google Assistant. With Super Far Field Voice Recognition (SFFVR) and the smartphone’s highly sensitive microphone, the Google Assistant can recognize voice commands from up to five meters away. SFFVR is able to separate commands from background noise, making the LG G7 ThinQ a great alternative to a home AI speaker even when the TV is on. LG customer commands for the Google Assistant have been increased in the LG G7 ThinQ so users can get even more stuff done with their voice alone. The first thing customers will notice about the LG G7 ThinQ will likely be the new 6.1-inch QHD+ (3120 x 1440) display sporting a 19.5:9 FullVision screen ratio and a bottom bezel which is almost 50 percent slimmer than on the LG G6. Powered by LG’s new LCD technology, Super Bright Display, the LG G7 ThinQ can be viewed easily even under direct sunlight with brightness up to an industry-leading 1,000 nit, displaying 100 percent DCI-P3 color gamut. And depending on the type of content, the display can be set to six different viewing modes: Auto, Eco, Cinema, Sports, Game and Expert. In Auto mode, the phone automatically analyzes the content of games or photos and optimizes the display and power consumption. 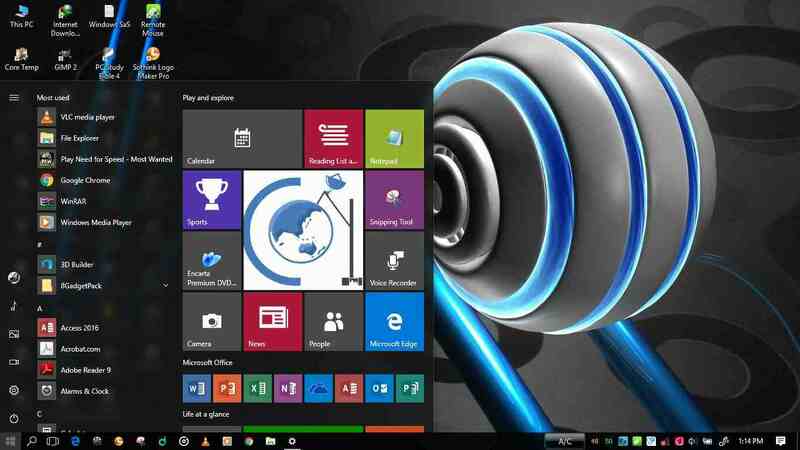 The user can fine tune the image even further by adjusting the screen temperature and RGB levels individually. The smartphone’s New Second Screen gives users flexible options when it comes to setting up the display to fit their tastes and style. The display can be fully expanded for a bezel-less look or it can be set to a more traditional style where the notification bar is completely blacked out. Users can even change the notification bar to another color for amore personal effect. 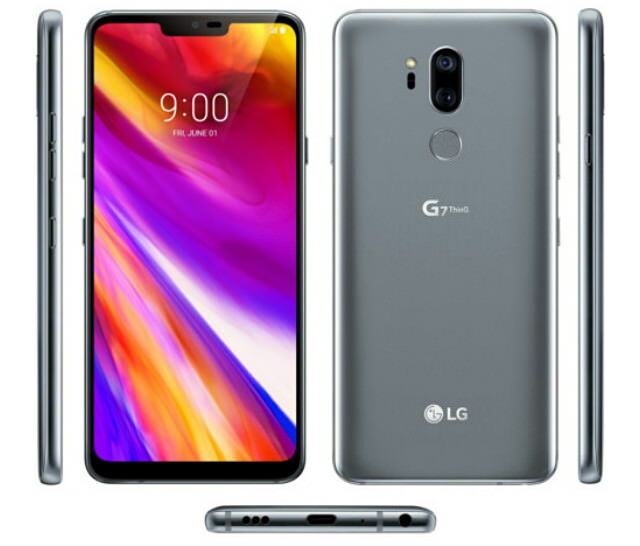 Few days after its official launching, the pricing details for the LG G7 ThinQ for the UK and European markets have been made manifest on multiple network carriers in the region. The UK carrier, Clove, has listed the phone on its website alongside with its pricing details. According to the listing, the LG G7 ThinQ will be sold by the carrier for £649 ($881) with VAT included or £540 ($734) excluding VAT in the United Kingdom. A retailer by the name Belsimpel, based in Netherlands, on the other hand revealed the pricing for the European market. The retailer listed the phone on its website as well for €849 ($1,015). Also, the G7 ThinQ is said to be coming to T-Mobile, Verizon and Sprint in the U.S later this month, but AT&T has confirmed it plans not to sell the phone.